With the next generation of raw cinema cameras you can finally shoot professionally with uncompressed raw motion pictures—without compromising your image or your budget. 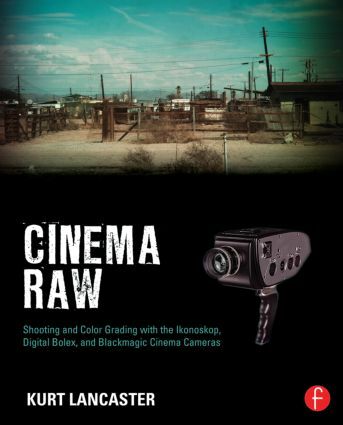 In Cinema Raw: Shooting and Color Grading with the Ikonoskop, Digital Bolex, and Blackmagic Cinema Cameras, Lancaster takes you through the birth of these new cameras and includes an exclusive behind-the-scenes look at Digital Bolex. He field tests each camera and discusses the importance of shooting in raw and guides you through the raw color grading process so you can create stunning films. Interviews with professionals who have shot documentaries, shorts, and promotionals with these cameras are featured throughout, allowing you to learn field production techniques under real world conditions.